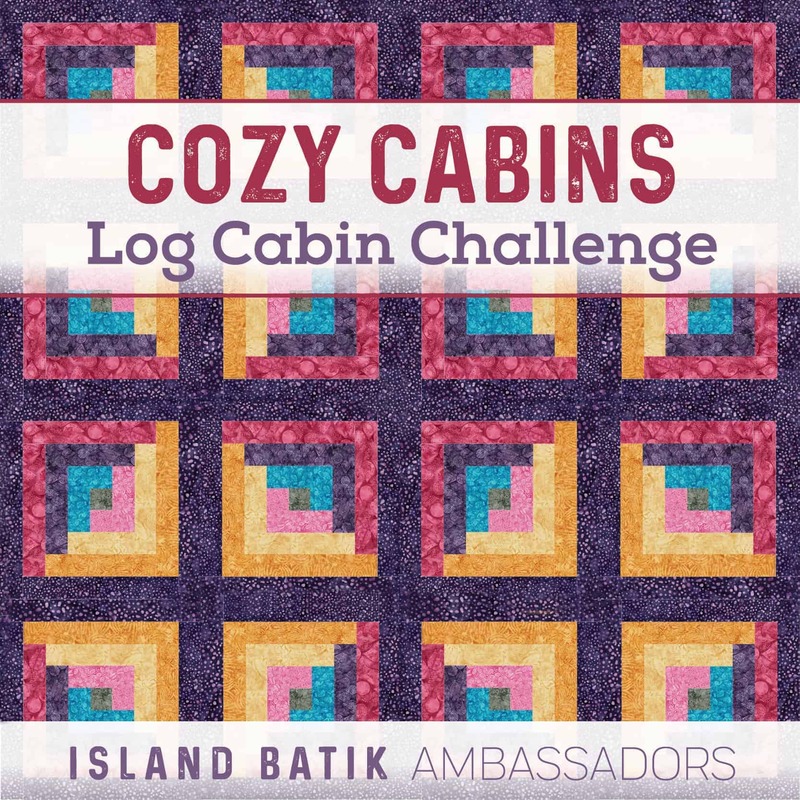 I had many thoughts about the log cabin challenge from Island Batik for November. There are so many log cabin patterns. Many of us made a log cabin from Eleanor Burn’s Log Cabin in a Day. Judy Martin’s Log Cabin Quilt Book, is a terrific guide to the many versions of what you can do with a log cabin. These books I use for reference, however, I wanted to do something a little different, on my own. 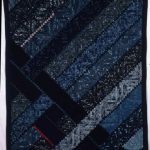 I thought about an offside log cabin quilt (autocorrect wanted this to be offsite), I thought about a curved log cabin quilt, and then I remembered this class I took a number of years ago doing a reversible log cabin. The instructor was Emiko Toda Loeb and that is where I landed. 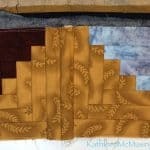 Her quilts are gorgeous and inspirational. 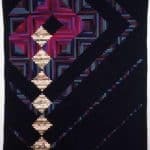 The above quilt called Old Capital, 1993, is reversible. It measures 57″ x 73″. The logs are tiny! By my calculation the log is about 3/4″. So, she began in 1 1/4″ logs. 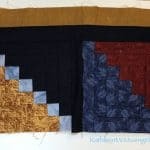 Now, they are not miniscule, but remember you are making two quilts at one time, in a sense. That is a lot of small logs. Please go see her website and enlarge some of the photos – it is amazing work. There was no way I could replicate this in a short month, but I could have fun sharing this technique. This is a very complex process, so I decided to simplify it. One of the best things about being an Island Batik Ambassador (you can read about it here and here) is that you get to use fabric you love, but might not buy. 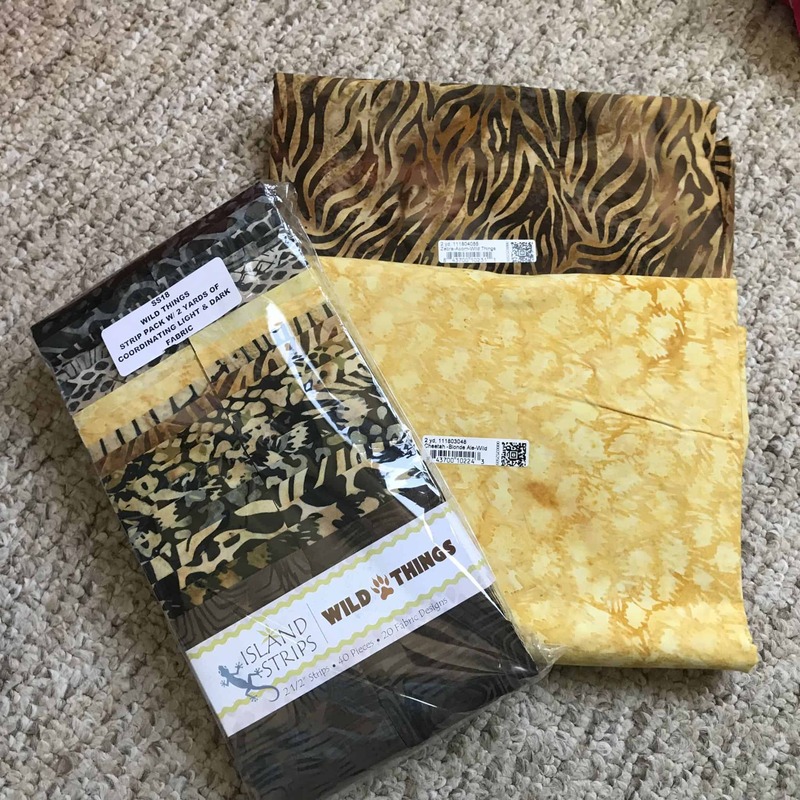 I would use my Wild Things Island Batik jelly roll. I received the fabric and some of the thread that I used from Island Batik and Aurifil, at no cost to me. The beauty of the jelly roll was that it was already cut! I kept wondering if I could use the precut batting strip roll that everyone is using for jelly roll rugs, but I could not. Oh, well, not everything can be easy! This sample shows the piece I made in class. We used 2 1/2″ strips with a 2″ strip of batting. Of course, I did have plenty of batting left over from other projects, just not already prepared. So, off I went to cut 2″ strips. The count of light/dark strips. This is always one of my pet peeves about jelly rolls, that you don’t have quite enough of one thing or another. Do you want a different pattern on the other side? I thought there would be enough difference in the dark/black strips and the yellow/brown strips so, I just reversed it. It would have been more interesting if I had thought about a way to vary it. Review making a log cabin. I kind of hopped in to the project. Later, I felt that I confused myself on the orientation a few times. It worked out, but I could have saved myself some extra thinking. I was a fun quilt to do. It really is an ideal kind of baby quilt/tummy time quilt. I did it 2 or three go arounds at a time. However, I didn’t take a lot of pictures of the process – what was I thinking? So, I will make a little block to show you how it goes and even do the pieced block to get something different on the second side. It should be up by Friday, if all goes well. 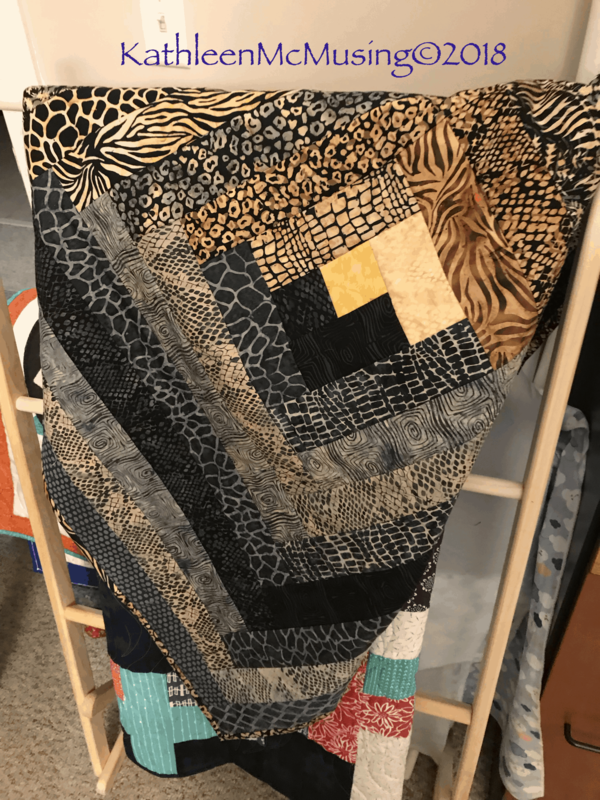 It is quilted when you are done. It is a fun use of a jelly roll. It is a great baby quilt or wall hanging size. Perfectly done!! I have not settled on my design yet! Well done, Kathleen, and I look forward to seeing more about the process of creating it this week, too! 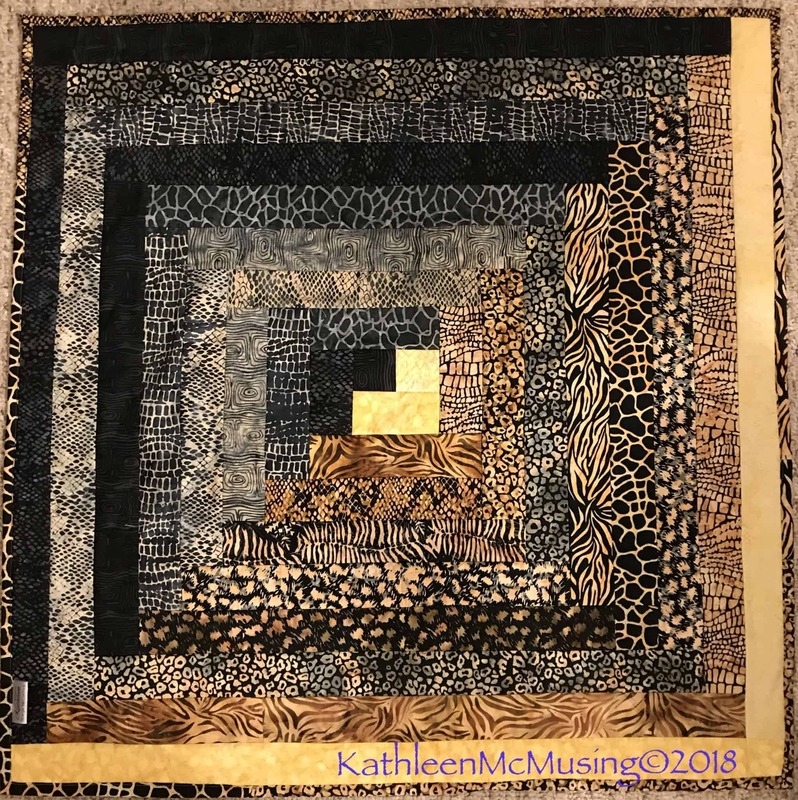 That’s a really fun quilt (yes, I am singing along!) and a technique I had never seen before! 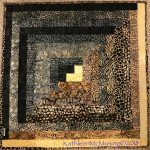 Her quilts are really amazing, thanks for sharing. Such a fun use of these prints! I am super curious about your technique, as I love piecing and quilting simultaneously. What a great finish, Kathleen!!! It is perfect. I love how it’s reversible. I took a class with Emiko a ways back myself. It was machine curved piecing. I do love her reversible log cabin quilts, too. Emiko was extraordinary! I still wish I could do something that complex, but I don’t think it will ever happen. I LOVE those fabrics! They were a perfect choice for this project. 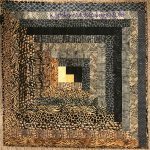 I will definitely check out Emiko’s quilts, the two you posted are beautiful and so different. Super fun! The way you play with value is especially great. Thanks for linking up to the FAL, on behalf of the global hosts. Great fun linking up with the FAL! It is a terrific motivator. You are so welcome Felicity. It is fun to keep moving along with the incentive of the FAL.